Prayagraj, 10 Feb: On the auspicious day of Vasant Panchami, a welcoming of Spring and a celebration of Goddess Saraswati was further illuminated with the presence of Bhajan Samrat Anup Jalota at the Parmarth Niketan Kumbh Camp, here. 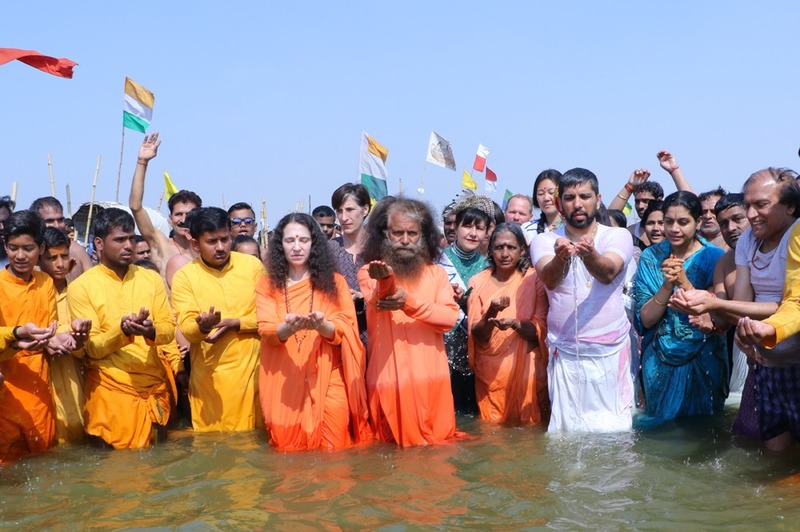 The day began with Swami Chidanand Saraswati, President of Parmarth Niketan, leading a group of pilgrims from over twenty countries to take a sacred snan at the Sangam of the Ganga, Yamuna, and Saraswati rivers. He communicated a message centered on ‘Bas ant’, building off of Vasant Panchami, with ‘bas ant’ meaning ‘enough’ or ‘finished’. He led those gathered to pledge ‘enough and finished’ to pollution, environmental destruction, selfishness, and the devastating results to water resources out of the illusion that ‘we are separate’. The day ended with an energising concert on the banks of the Sangam by Anup Jalota. 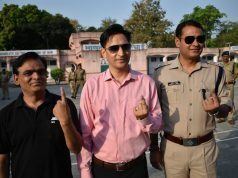 “Our coming together on Vasant Panchami to celebrate Goddess Saraswati is a time to say ‘bas ant’ – enough, finished – to thinking we are separate from one another. We must remember that we are One, One in the Divine as a world and as a global family. Say ‘bas ant’ to all that makes you think you are separate and let your dip at the Sangam flow Oneness into You, and pledge to use your Oneness to end separation,” declared Swami Chidanand.